- 1 recycled cotton bag to put everything you need during your travel. 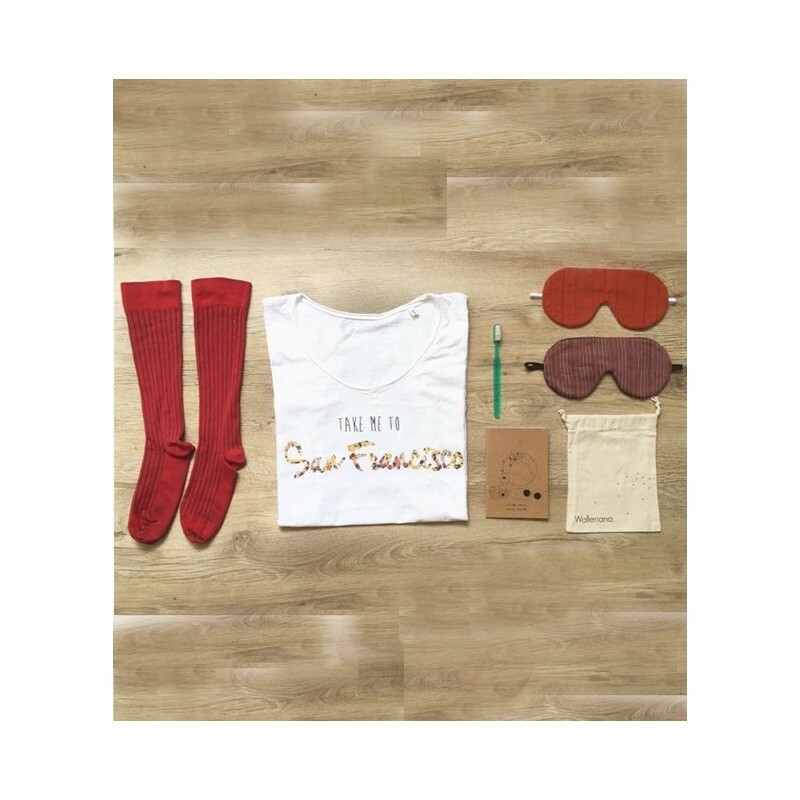 What is the travel kit ? The travel kit is a small pouch created and thought for long flights. Inside, you will find cute and unique accessories for a nice and smooth travel, all of which are made in France. Our travel kit is the perfect fit for backpackers. You won't have to worry about your luggage arriving late to start your journey ! We collaborate with independent and talented creator from all over France. Each accessory is unique, and created in very limited edition.